Turn a K760 Husqvarna hand held cutoff saw into a small flat saw. Cut straight or curved lines next to walls or curbs. Quick connection makes it easy to install power cutter on cart. 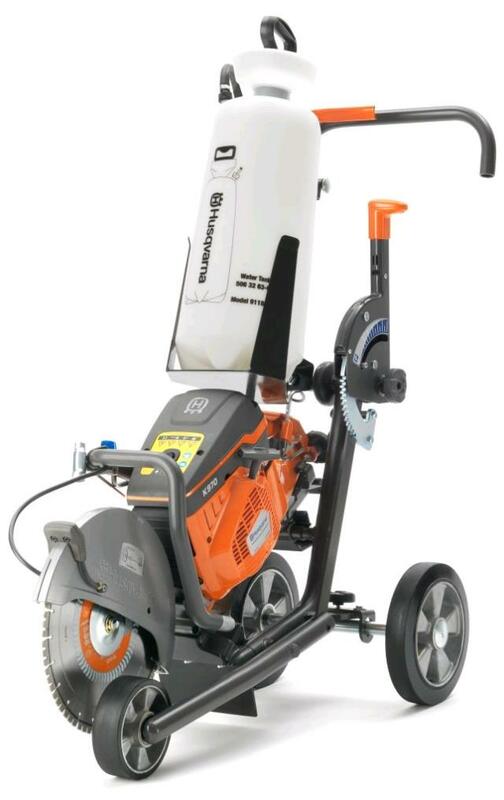 The removable 4 gal pressurized water tank and 10' hose to connect tank to blade guard on saw allows hours of cutting with or without cart. * Please call us for any questions on our saw cart for k760 husky rentals in Portland OR, Gresham OR, Milwaukee OR, and surrounding metro area.